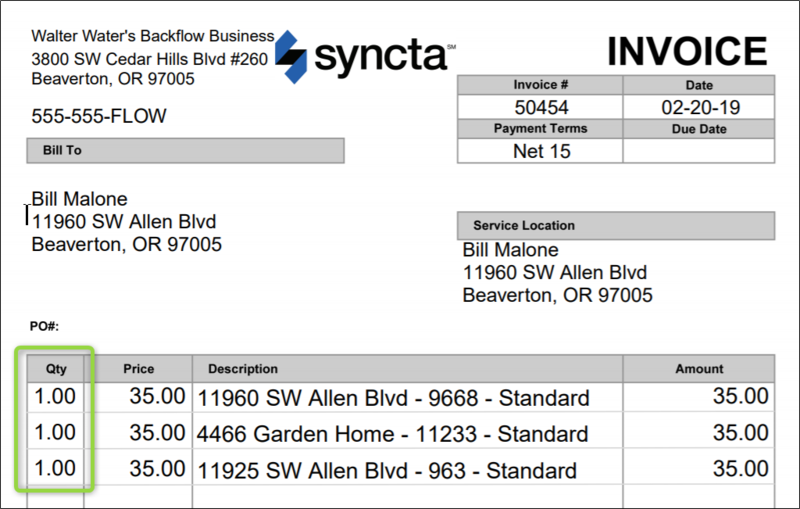 Invoices can be grouped together by customer or by service location. Below are examples of what each option looks like. When invoices are grouped by customer, line items for each test are included on one invoice, regardless of the service location. In this example on the Customer page, there are line items for three tests at different service locations. This PDF example shows each test as a separate line item, each of which is at a separate service location. When invoices are grouped by service location, invoice line items are grouped by service location. 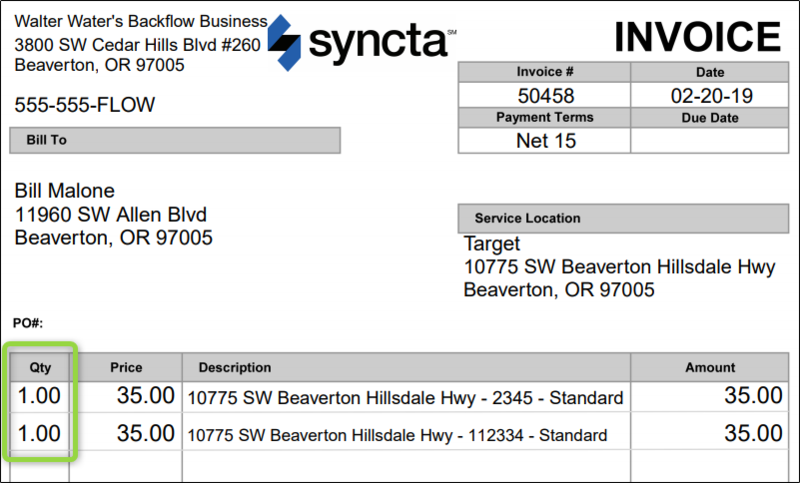 In this example on the Customer page, invoices are broken up by service location. This PDF example shows one service location with two devices. Use the following instructions to change the way new invoices are grouped moving forward; existing invoices will remain grouped as they are now. For example, let's say that your invoices were grouped by customer and now you want to group them by service location. Any existing invoices will still be grouped by customer, and all new invoices will be grouped by service location. 1. Select Administration from the navigation menu, and then select Invoicing Options. 2. On the Invoicing Options page, scroll to the Edit your companies invoicing options section. Yes: Invoices tests separately by service location. No: Invoices tests for all service locations together. 4. When you are finished, click Update Company Invoicing Options at the bottom of the page. Moving forward, invoices will be grouped by the method that you just selected.